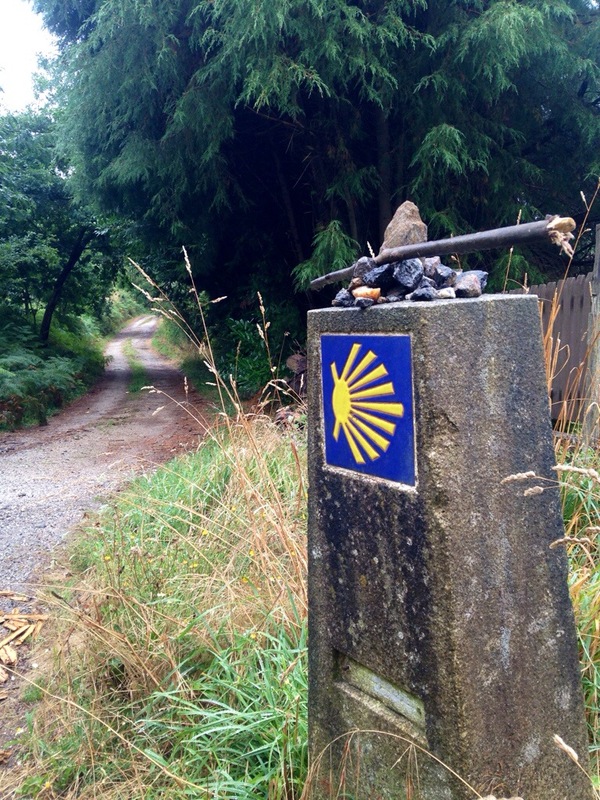 Back on the Camino! I was only gone for 5 days, but man, it’s good to be back. What am I going to do when the walking is actually and finally over? I’m back, but it’s different. I don’t feel like I’m on a pilgrimage anymore, I feel like I’m taking a long walk to the beach with an old friend. Which is exactly what I’m doing. Sonal met me in Santiago on Friday morning, and we spent the day in the city: stopping by one of my favorite bars for cafe con leche and tostada, walking through a park to get a sweeping view of the city, attending mass in the cathedral, drinking wine, eating a big dinner of grilled fish and vegetables. It was a great day, but it didn’t really feel like my Santiago anymore. I saw one familiar face the entire day; there is a brand new class of pilgrims in the city, just like there is every single day. It reminds me that even though the Camino feels like mine, I share it with hundreds and thousands of others. I was just a blip in its history. We headed towards Finisterre this morning at 7am, bundled up in our rain jackets. If I needed confirmation that my pilgrimage is over it was this: a gray day full of rain. 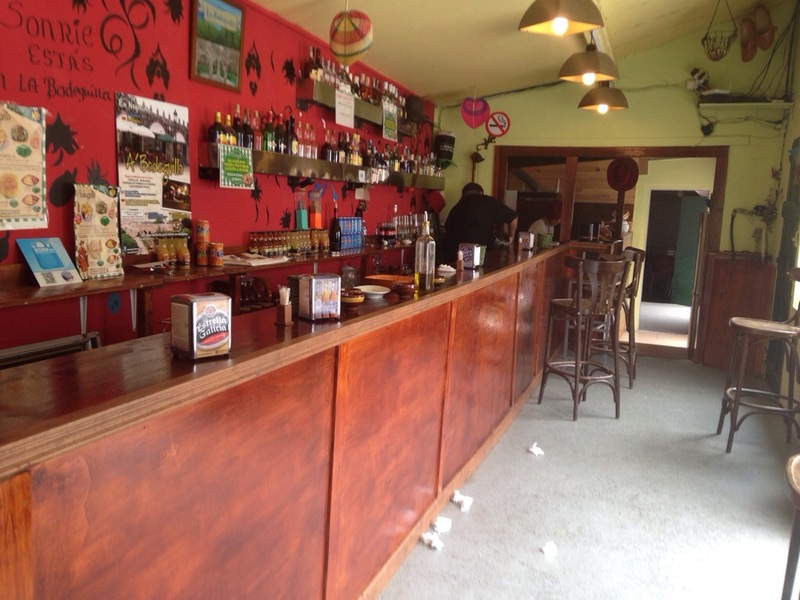 I know I was incredibly lucky on the Camino, I only really had one rainy day, and even that wasn’t so bad (it did rain several times on my trip, but I timed it perfectly by hiding out in cafes and bars until the rain passed). But there was no hiding from the rain today. We walked 6 kilometers before finding a bar for coffee, most of it in a steady rain. 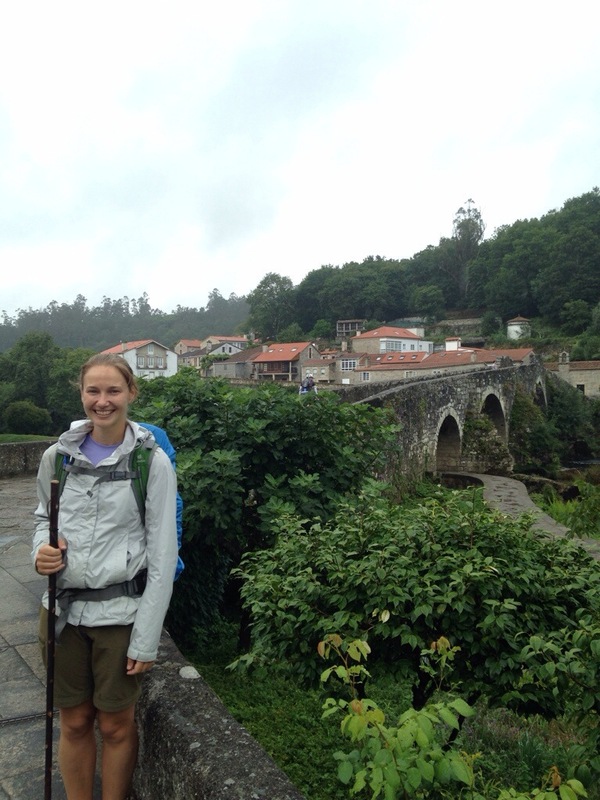 Where’s the Camino magic that I’d gotten so used to? The perfectly placed bars for my much needed morning cafe con leche? The sunshine and cool morning weather? After climbing 200 meters today, I should have been treated with a stunning view, not fog and rain clouds. Or maybe the magic is still here, but in a different form. I was so mentally focused on the end of the Camino and Santiago and saying goodbye to my friends that when I started walking this morning, it hit me: I get to keep doing this. I get to squeeze all of my things in my pack again. Don’t forget the bar of soap! Where’s my Icelandair pillow that I stole from the airline and have been lugging around for a month just in case I might need it even though I’ve never needed it? Make sure the sleeve of Maria cookies is accessible in the front pouch of my pack; coat Vaseline on my feet before putting on my socks; grab my walking stick and take my daily selfie before starting the walk. I get to keep doing all of this for a few more days. 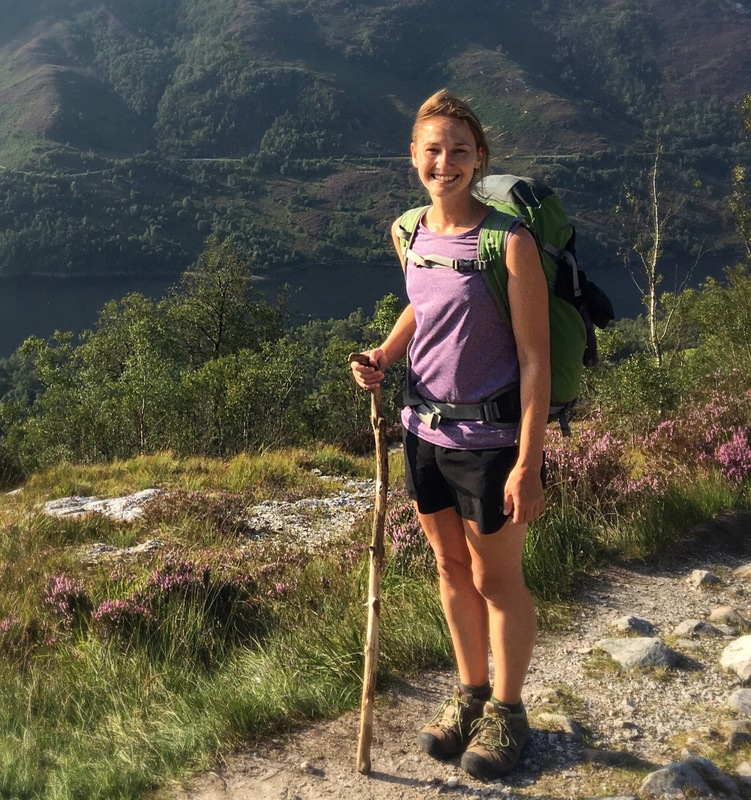 And today, after the steady rain stopped and we walked in a cool mist, after the strong and milky cafe con leche, and somewhere in the middle of a 200 meter ascent, my face broke into a smile. 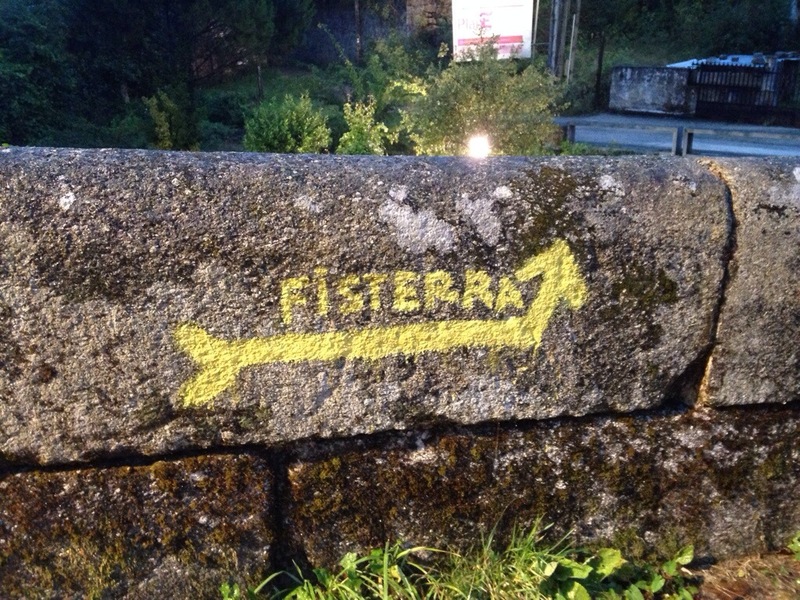 I was back on the Camino, and I get to keep walking for a few more days. And I get to do this with a friend. It’s a completely different experience from what I’m used to, and I had to remember to slow down my usual fast pace just a bit, and I had to remember that what has become second nature to me is all brand new to my friend. But it’s great to have someone familiar here, someone from home. Even though I had friends surrounding me on the Camino, it’s different to do this walk with an old friend, and there’s comfort in always having someone to eat with, someone to pick an albergue with. And what a great experience to share with someone I’ve known for 20 years. So we’re in Negreira, staying at a new and modern albergue with one of the kindest hospiteleros I’ve met yet, getting a small history lesson on Galicia. We went to a local place for a cafe con leche and in addition to the coffee we were given a shot of some sort of very strong liqueur. 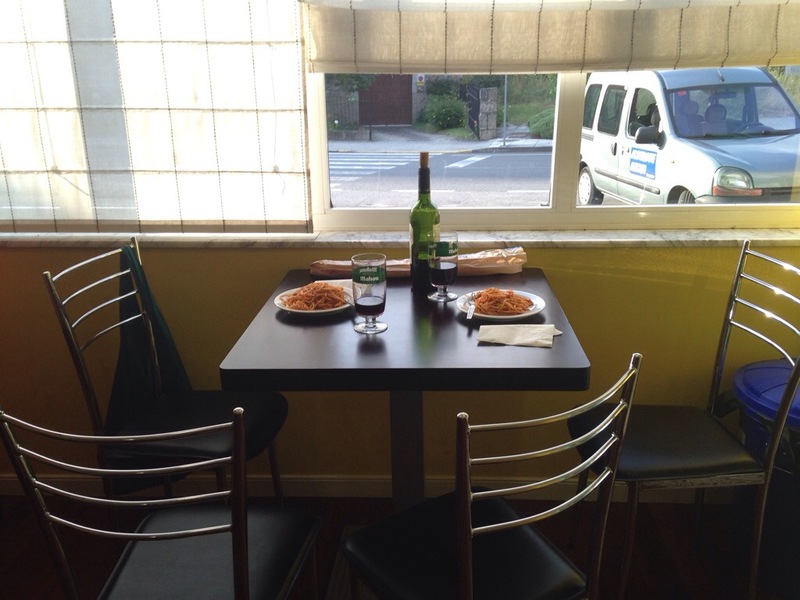 We made a spaghetti dinner in the albergue kitchen and shared it with John, a man from Arizona with long blond hair and a sweet nature. Two Spanish boys just spent 20 minutes trying to open a large can of peaches that probably weighs several kilos, and I took a victory photo for them with their opened, mangled can. There’s a guy outside whittling and carving a walking stick, and I’m drinking the last sips of a decent, 3 euro bottle of Rioja wine. This part of the Camino might feel different, but it’s still the Camino. And I still have a few more days of getting to be a pilgrim. Enjoy this coda to the Camino. I liked your comment about sharing the Camino with thousands—we’re a blip in history. So true, and it’s always a part of us afterwards. Thanks, brings back such good memories of 2011!